Dementia has been found to be associated with elevated uric acid levels, with the risk of vascular dementia and mixed dementia being higher. A study published recently in the Annals of the Rheumatic Diseases claims that higher serum uric acid levels indicate a greater risk of dementia for elderly persons. Dementia is a progressive condition that results from the degeneration of the faculties of the brain, leading to memory loss. In advanced stages, it interferes with daily life. 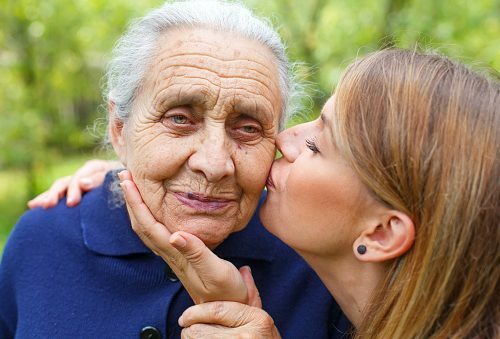 The several types of dementia include Alzheimer’s disease, Parkinson’s disease, Huntington’s disease, mixed dementia, and vascular dementia. Of these different types, vascular and mixed dementia were found to be more connected with elevated uric acid levels. Vascular dementia is caused by problems in the blood vessels of the brain such as blockages, which damage the brain and cause strokes or bleeding. It impairs judgment and the ability to plan, make decisions, and organize. Mixed dementia is caused by abnormal protein deposits in addition to problems of blood vessels similar to that of vascular dementia. Its symptoms vary and can resemble those of Alzheimer’s disease as well as several other types of dementia. Researchers studied over 1,598 patients of which 110 were diagnosed with dementia. They developed an index called hazard ratio (HR) which helped to assess the risk level of dementia in connection with serum uric acid levels. They also studied MRI brain markers and other factors that could affect dementia in order to screen patients who would be solely affected by uric acid levels. Researchers found that the hazard ratio (HR) for all cases was 1.79 whereas that of vascular dementia or mixed dementia was 3.66, indicating a higher correlation. The MRI studies helped to gauge brain aging, lacunes, and hippocampal volume that were indicators of neurodegenerative diseases. The observations confirmed that the elevated uric acid levels affected the physical condition of the brains of people who were diagnosed with dementia. While one would assume that treatment to reduce elevated uric acid levels in cases of gout or hyperuricemia (excess uric acid in the blood) could help to reduce the risk of dementia, the findings of previous studies contradict this. Earlier, researchers found that uric acid is neuroprotective and raises questions regarding the effect of low uric acid levels on the mental condition of people. The focus of treatment and prevention should be to focus on maintaining normal uric acid levels as the study clearly establishes a link between dementia onset and elevated uric acid levels.